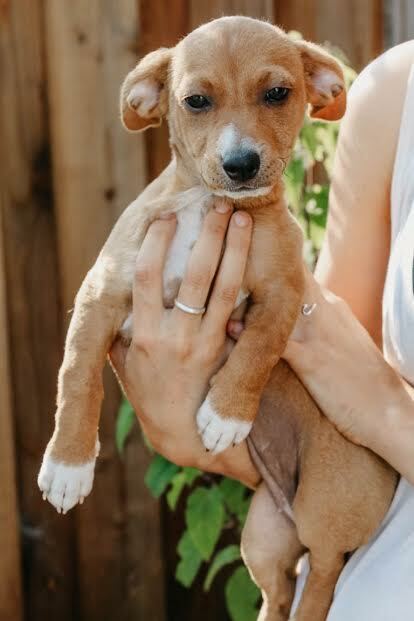 Happy 8 week hound/dachshund mix puppies available for adoption. Well-socialized, healthy, playful, adorable, will be around 15-18 lbs full grown. Looking for homes with the time to devote to puppy/puppy training; role model dog in home preferred; homeowners with fenced yard a plus. $350 adoption donation. Up-to-date on puppy shots, dewormed, and flea/tick treated. Adopters responsible for finishing puppy series, rabies shot, and spay/neuter by 5 months.